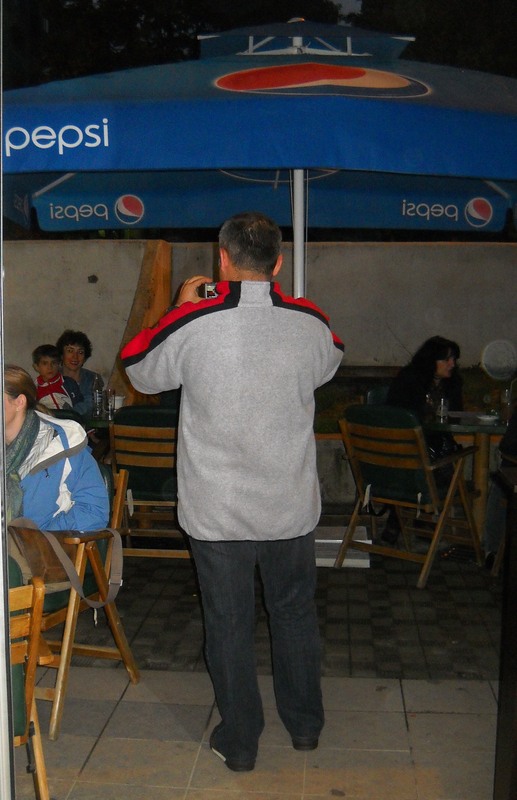 This post was originally written on October 8, 2010 when I was visiting Macedonia. As bad as our economic crisis is, the economics of life in Macedonia are much worse. Double digit unemployment is a way of life – 30%+ is normal, and yet the entrepreneurial spirit prevails. I am continually humbled by the number of people here, who are creating the lives they want as they tip-toe through and leap over the obstacles in their paths. Here are the results of believing your dreams can come true no matter your circumstances . . .
My friends Pece and Marie are a unique couple in many ways. They have successfully blended their cultures, and use their many talents to combine their dreams. I was thrilled to be here for the opening of their new café. I spent many, many Saturday mornings with friends at their earlier café in the old Turkish market in Bitola. 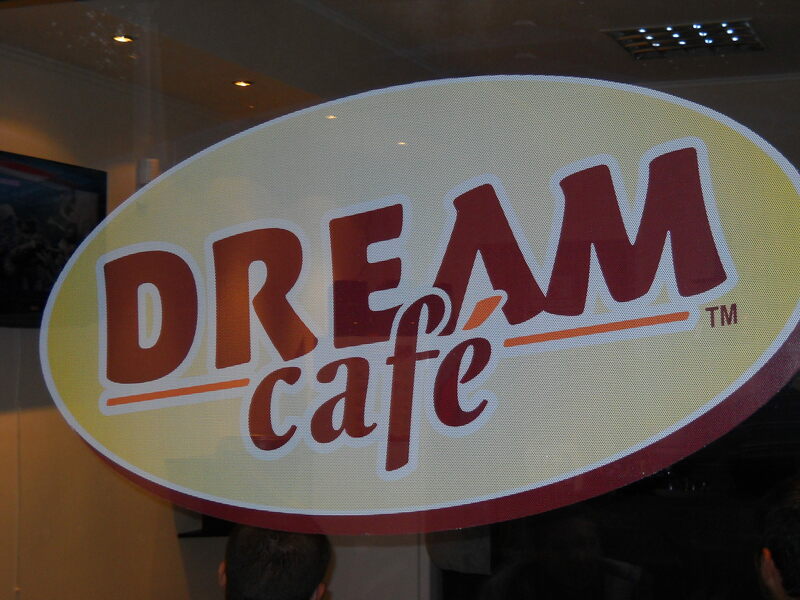 “Dream Café” is in a great location, next to the new green market in Bitola. 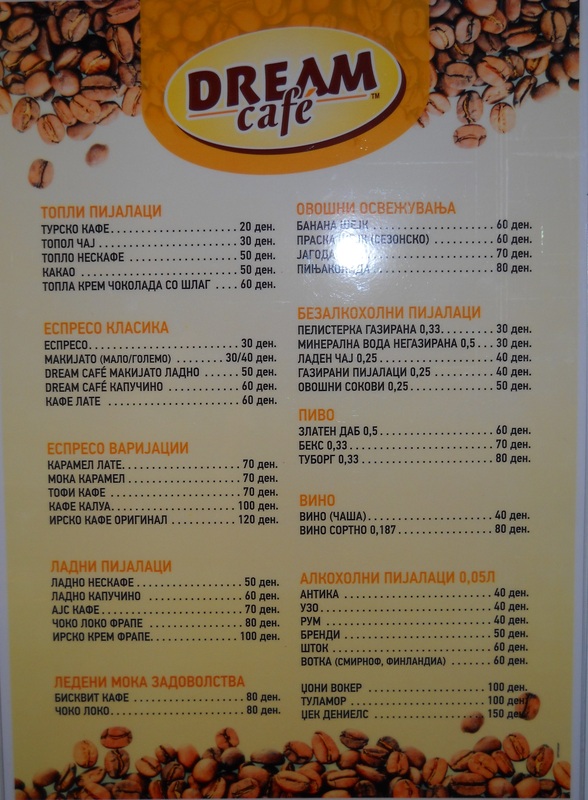 Their cappuccino is the best in Macedonia. (My close up shot of a perfect cup was not so perfect – next visit!) Pece is a coffee connoisseur, blending each batch of beans with just the right amount of options for his customers. 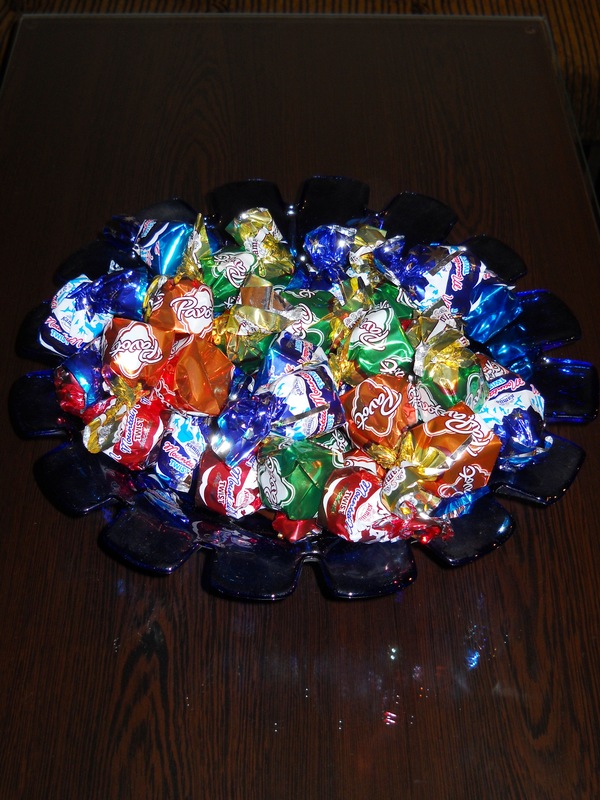 Every special event means great chocolates will be on-hand for guests. Lots of delicious choices, even better than Starbucks – alcohol allowed. 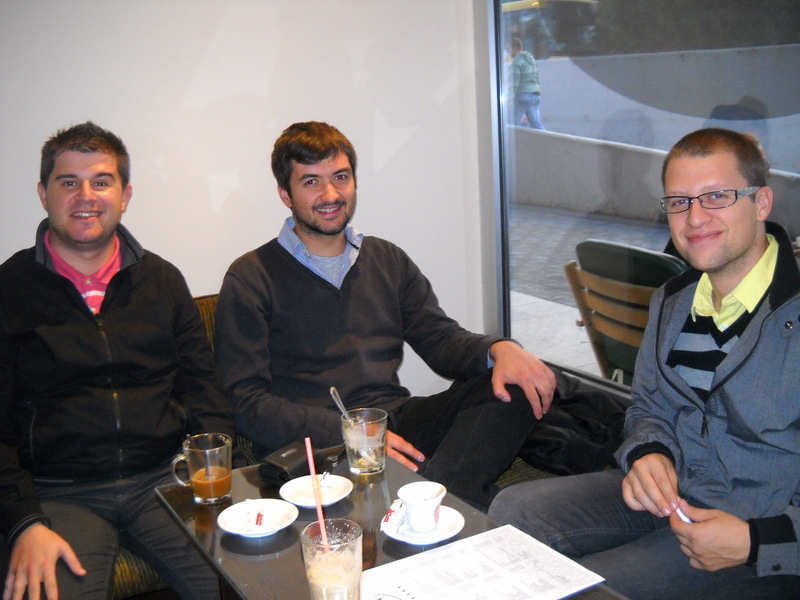 Friends old and new, Nikola, Jovan and Dan, enjoying coffee. 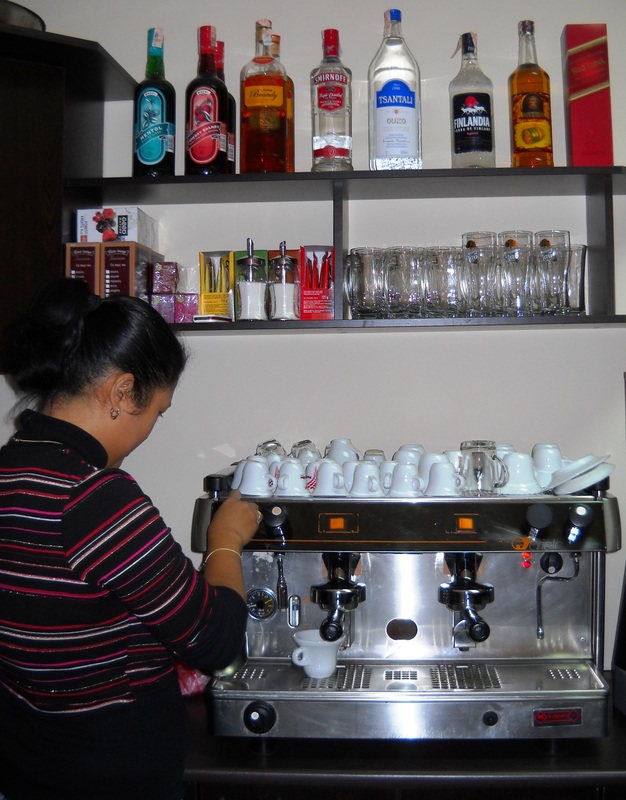 Pece and Marie make and serve each cup with pride and precision! Pece capturing a moment. Seating inside and out. Congratulations again, to my two wonderful friends Pece and Marie and their sweet little daughter and son. I can’t wait for my next cup of cappuccino. Next post: What happens when a man in a small village has a dream to preserve his country’s past? From 2006-2009, Patrice Koerper lived in Macedonia as one of only 425 volunteers over the age of 50 serving worldwide in the United States Peace Corps. In 2010 Patrice Koerper returned to Macedonia with American guests for a special cultural tourism program she developed, “Experience Macedonia: Enjoy Europe as it used to be”. Patrice is returning to Macedonia again in 2011 for six weeks – September through October. She is offering her unique 2 to 4 weeks cultural tours to a small group of friendly, flexible, adventurous travelers. In 2012 Patrice is planning life coaching retreats in Macedonia and Greece. For more information on these exciting travel and life-changing opportunities, please email her at patricekoerper@gmail.com or call her at 813-719-0679. Ten top towns in Europe you've never heard of . . .
Don’t miss this journey of a lifetime. Experience Macedonia · Enjoy Europe as it used to be.